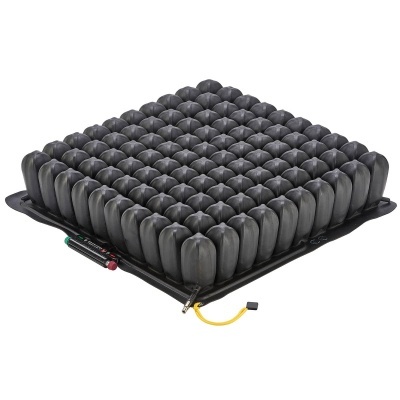 Featuring a depth of 10cm, the Roho Quadtro Select High Profile Pressure Relief Cushion offers excellent pressure relief through the use of separate air cells. 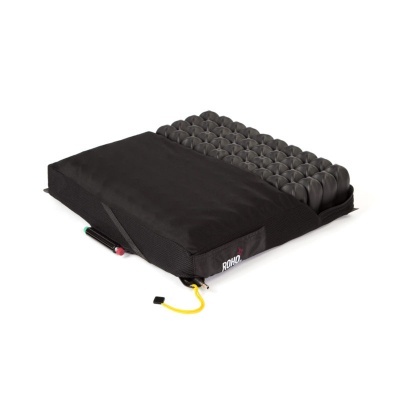 With exceptional pressure relieving qualities the High Profile Cushion uses immersion to decrease tissue deformation, while the adjustable, low deformation, counter-pressure environment looks to heal ischemic ulcers found on the spine, lower lumbar and around the buttocks. Unlike other pressure relief cushions, the Quadtro Select Cushion uses ISOFLO Memory Control that uses special air compartments to trap air which then remembers the shape of the body. Through the push of a button the user can control their own comfort, making the cushion perfect for users who are high risk pressure patients. 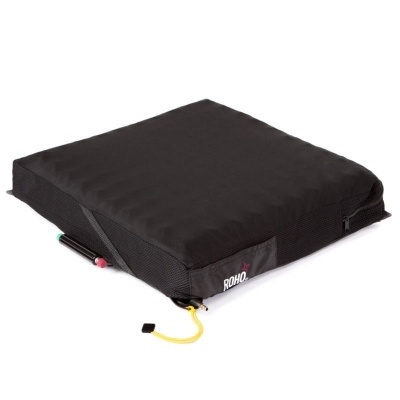 Designed with Air Floatation technology, the Roho High Profile Select Pressure Release Cushion mimics the effects of floating on water which helps to create unparalleled comfort. This is combined with an envelopment depth of 7.5cm, the average distance between the Trochanter to the bottom of the Ischial Tubersosities. It was this technology that made Roho so well received within healthcare industries, propelling them to become an industry favourite. With high comfort and envelopment, the Quadtro Select keeps blood moving, decreases edema, and gives pressure sores time to recover. Who is the Quadtro Select High Profile Pressure Release Cushion for? The Roho Quadtro Select High Profile Pressure Relief Cushion is available in 19 different sizes to meet with your requirements. The measurements below are measured first across the width of the cushion from left to right, and then the depth of the cushion from front to back. The thickness of all of these cushions is 10cm (4 inches). 30cm x 33cm 12" x 13"
33cm x 33cm 13" x 13"
33cm x 38cm 13" x 15"
33cm x 41cm 13" x 16"
38cm x 33cm 15" x 13"
46cm x 38cm 18" x 15"
46cm x 46cm 18" x 20"